If you’ve ever researched successful referral program examples, you’ve probably run into a lot of the same examples over and over again - Uber, Tesla, and Airbnb. 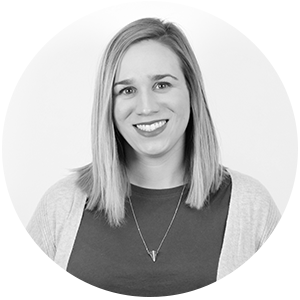 While their campaigns are truly inspiring, what if you don’t have the luxury of a full team, ranging from developers to marketing experts, who can focus solely on creating and managing your referral process? Well, the short answer is: Don’t fret, you can still deploy a successful referral program AND keep doing your day job. Over the past year we’ve been collecting data from customers using our platform to explore trends across many verticals. What kind of results did they see? 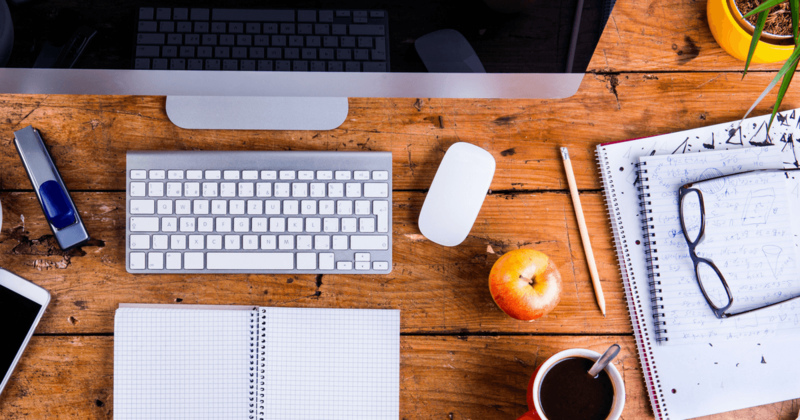 Does referral marketing software make sense for all industries? 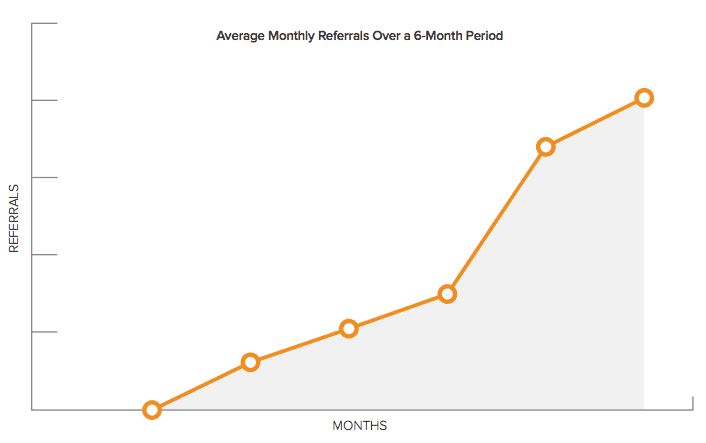 Most importantly, do referral programs really work? Note: Feel free to discover what we found across all the industries studied, or simply click the one that interests you. 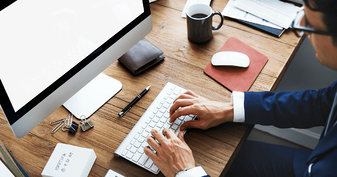 Many people still consider referral marketing to be a consumer-focused strategy. This might be because, as previously mentioned, the incredible results Uber, Airbnb, and a lot of eCommerce brands have achieved through word-of-mouth are more commonly shared. You simply don't hear much about the referral programs that enterprise brands like HP, SAP, and other B2B software companies have developed. This might lead you to assume that B2B referral programs simply don't work. But our platform's data paints a very different picture. In fact, it suggests that assumption is flat-out wrong. 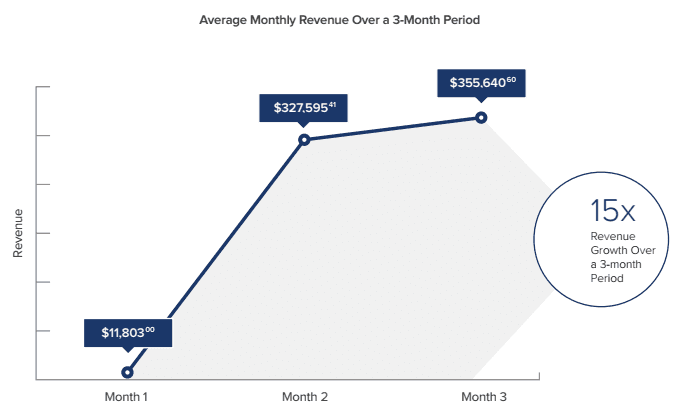 In fact, our B2B customers average 3x more revenue than eCommerce brands over a 12-month time period. That's remarkable on its own, but it's particularly impressive when you consider that those same eCommerce customers see an average ROI that exceeds 500%. Of course, because of B2B companies’ generally higher customer LTV, it’s difficult to make a definitive apples-to-apples comparison to eCommerce brands. That said, when we examined average ROI (total investment in Ambassador plus customer acquisition costs, divided by total revenue generated) and typical conversion metrics for our B2B customers, the argument in favor of B2B referral marketing grew even stronger. One final trend also stood out: Time. More specifically, B2B companies that play the long game — giving their referral program time to evolve and gain traction — see far greater results. That isn’t terribly shocking given the length of a typical B2B sales cycle, but it confirms the value of patience and consistency in B2B referral programs. To illustrate this, we studied some of our longer-term B2B customers and charted their revenue growth over the first year. As you’ll see in the graph below, growth is slow initially, but there’s a clear inflection point. Three months after implementation, revenue spikes dramatically. And three months after that, revenue grows by a 5x multiple. If you’ve ever bought a mattress at a brick-and-mortar store, you’d know that it isn’t the most enjoyable — or inexpensive — experience. Sales people hover around you. Variances in product stiffness and quality can make it difficult to choose the right mattress. And, if you do buy a mattress and don’t end up liking it, very few retailers make the return process easy. This is precisely why online mattress companies have been so successful, so quickly. With products that meet or exceed most customers’ quality expectations, and a distribution model (free shipping and returns, and 60+ day trial periods) that makes buying a mattress delightfully simple, it’s not surprising that customers are flocking to these companies and happily sharing the experience with their friends. Take one look at the growth of this industry and it’s obvious the market opportunity is huge. With an average of 8,465 ambassadors, three link shares per ambassador, and 12.4 clicks per link share, each mattress brand is generating nearly 315,000 website visits — and, because referral incentives typically hinge on a purchase, they’re not paying a dime for those impressions until they convert to revenue. As most marketers and growth strategists know, impressions are only worth so much. And they only really matter if they efficiently and cost-effectively convert to bottom-line revenue. So, how are Ambassador’s online mattress and bedding customers performing in that regard? We’ll let the numbers speak for themselves. With an average incentive of $50 per referral, each of these brands spent just over $34,000 to generate more than $496,000 in new revenue. That’s a 14.5x ROI from a channel that’s relatively risk free and easily scalable. Studies have shown that referred shoppers cost less to acquire, buy more, and stay longer. And a 2016 survey conducted online by Nielsen’s Harris Poll found that 82% of Americans seek recommendations from friends and family when considering a purchase, while 67% say they’re more likely to make a purchase when a friend or family member shares it online. Let’s perform a quick calculation. If you have 10,000 ambassadors and 40% of them share their link just once, it will generate 46,000 visits to your site. And if each visit is worth $3.62, that equates to $166,520 in revenue. 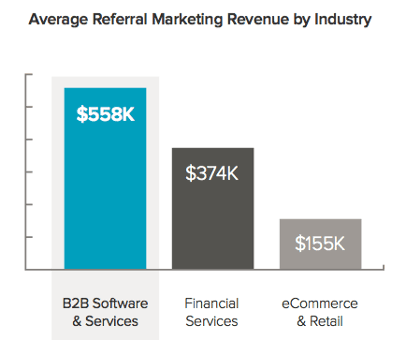 Basically, referral marketing is a numbers game. Add more ambassadors to the top of the referral funnel and you’ll proportionately increase shares, visits, and, ultimately, revenue. One common assumption with consumer-facing referral programs is that, over time, results will plateau. The theory is that ambassadors will grow weary of sharing (or they’ll run out of people to share with) and activity will flatline. Fortunately, our data paints a very different picture. 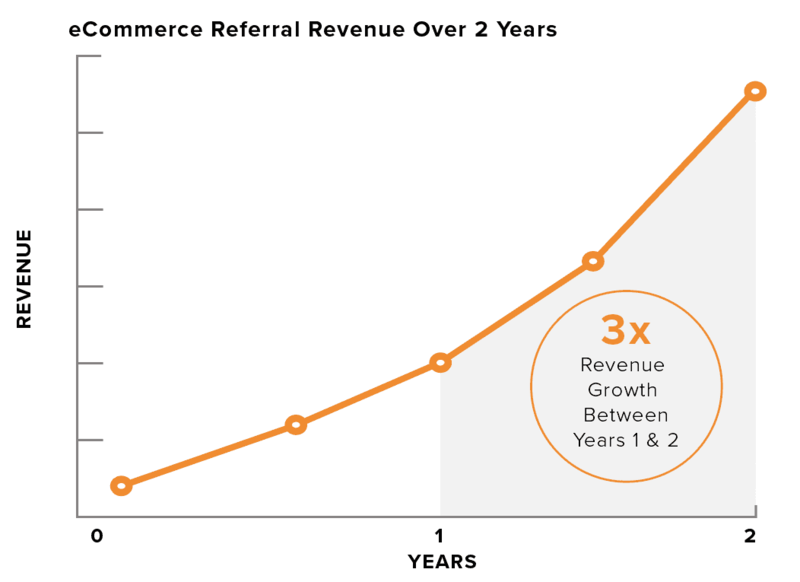 In fact, we noticed an interesting trend: eCommerce brands that give their referral programs an opportunity to mature, see compounded results well beyond the first year. While revenue spikes sharply in the first six months after launch, growth continues to rise steadily over the following 18 months — increasing at a nearly 3x multiple between years one and two. Earlier this year, a report1 from the Solar Energy Industries Association revealed that the cumulative number of solar installations in the United States had eclipsed 1 million for the first time. During that span, solar power accounted for 64% of all new electric generating capacity in the US. More so, solar installations are expected to nearly triple over the next five years. When it comes to word-of-mouth, one of the challenges with the solar industry is its lengthy sales process and installation timeline. After all, if a referral comes in, it might take 60 days to close that customer and even longer to physically install the new solar system. As a result, it can take 90 days or more for a referral incentive to finally pay out. These numbers are particularly impressive when you consider that most of the brands in the cohort we studied are mid-market businesses. For those businesses, generating more than $271,000 in new revenue — which represents a 10x ROI on average — is powerful. 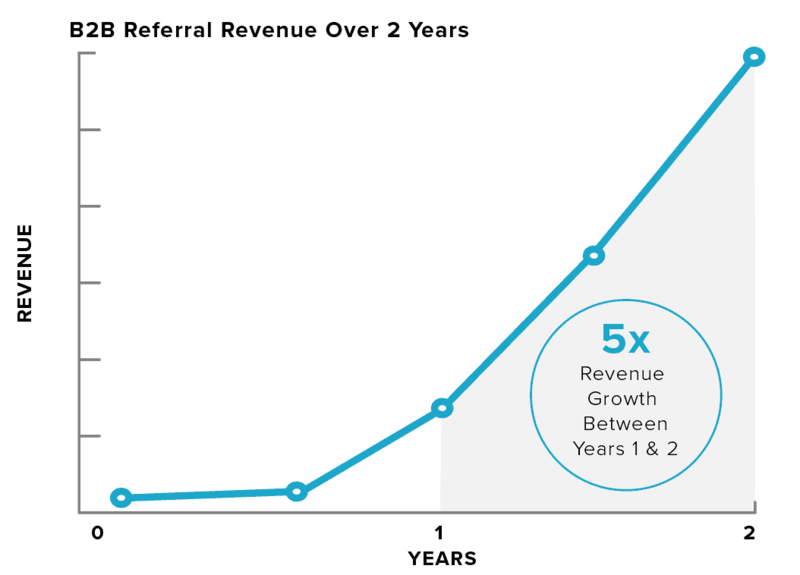 Additionally, data across our platform has repeatedly shown that the longer a referral program is in place, the easier it is to scale results over time. Now, let’s examine the trend lines of our solar customers’ revenue growth. 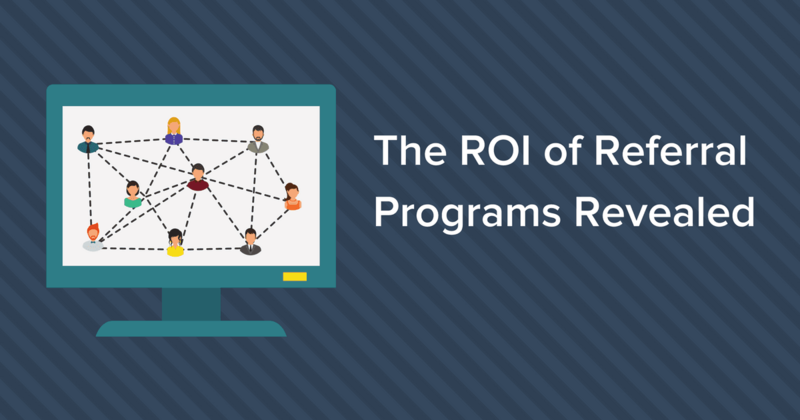 Based on the average investment in referral marketing software, these revenue numbers represent a 10x ROI after the first year. While revenue was slow initially, the sharp spike in the second and third quarters of the program illustrate the value of giving a referral program — particularly a solar or energy referral program — time to mature. 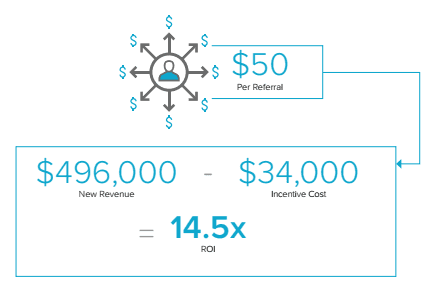 Over the course of a year, enterprise organizations we studied generated an ROI of more than 40x, which comes to just shy of $1M in new revenue from referred customers. Best of all, referrals are a very low risk marketing channel. Now, all of this isn’t to suggest that enterprise referral programs can’t drive incredible short-term results, too. To illustrate this, we studied some of our newer enterprise customers — businesses that have only been using Ambassador’s platform for a few months. Average new revenue over that three month period totaled $695,039.01. When you compare that against the commissions paid for those referrals and thosee companies’ investments in referral marketing technology (expenses that total a little more than $46,000 per organization), it represents an ROI of more than 15x. According to one report2, the global eLearning market is projected to reach $243.8 billion by 2022. Meanwhile, another study3 found that 5.5 million American students are studying partially or fully online, and that number is projected to rise precipitously in coming years. Interestingly, the study also found that one-third of people who pursue online education do so loyally by only engaging with one institution or brand. This speaks to the importance of word-of-mouth and referrals in online education and eLearning. If a prospective student or eLearning user is referred to an organization by a friend or colleague who’s already a “customer,” research suggests they’re more likely to also engage with that organization. With that said, education isn’t exactly a market where you’d expect referral marketing to deliver quick, meaningful results. After all, it often takes time for new “customers” — students, teachers, school administrators, and corporate education departments — to fully experience the value of an eLearning product or an online education program. Referrals and word-of-mouth aren’t just valuable for their short-term impact on an education or eLearning brand’s recognition, enrollment, and revenue. Students and teachers who have a positive experience with an education or eLearning company are clearly eager to talk about it. Our data also shows that an investment in referral marketing technology can pay sustained dividends over longer periods of time. To illustrate this, we expanded our analysis to include data over a six-month period. After the initial spike following a program’s launch, referral activity grew steadily. The chart below shows the average number of education and eLearning referrals generated over a six-month period. When an education or eLearning company can combine an excellent product or service offering with a well-managed referral marketing strategy, it creates a powerful branding and acquisition channel that compounds over time. 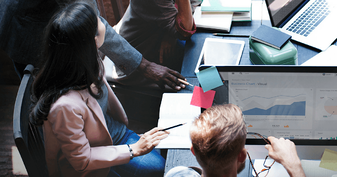 As more students, teachers, or educators engage with your offerings and your referral program, it creates an organic flywheel for driving higher program enrollment, engagement, and ultimately, revenue. 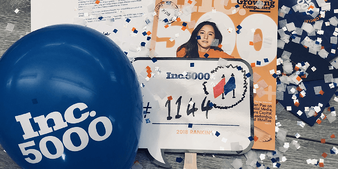 So can a bank, a tax preparation app, or a money transfer service see the kind of viral success that many eCommerce companies see with referral marketing? To put these numbers in context, they’re higher than those generated by most successful consumer companies, which is a clear indication that financial services customers are more than willing to refer a friend or promote a business after having a positive experience. When each new customer is worth several hundred (or thousand) dollars, it’s easy to justify higher referral rewards. And lucrative referral incentives almost always translate to higher referral activity. Thanks to advancements in technology, financial services companies have more opportunity than ever to disrupt (read: simplify) the traditional financial experience. Many of our customers are doing this and their referral marketing results reflect the value of those efforts. When your business removes friction from an experience that’s historically wrought with it, the referral floodgates open. If there’s one thing that sets health and fitness brands apart from other consumer businesses, it’s an abnormally strong sense of community, passion, and commitment. If someone loves yoga, barre, crossfit, golf, bodybuilding, or nutrition, they tend to really love it. They talk about it with their friends. They surround themselves with other people who enjoy those activities. They follow and engage with influencers who share their passion. And they’re constantly on the hunt for the newest, most innovative products. For health and fitness companies selling to those types of customers, word-of-mouth can be an enormous driver of growth. When compared against all of the other consumer industries using the Ambassador platform, the share rate for health and fitness brands is more than double! This speaks to the passion of the customer base and its willingness to share and promote the brands they evangelize. One of the challenges that some health and fitness companies face — like most other consumer brands — is the seasonality of sales and the diversity of channels that can (and, in many cases, should) be used to drive awareness. Simply put, many health and fitness brands are forced to juggle priorities and, when prime seasons or new product rollouts happen, that juggling act becomes much more difficult to manage. This is where the argument for referral marketing becomes more compelling. Here’s a chart that reflects the near-immediate adoption of referral marketing programs for our health and fitness customers, while also showing the steady growth of those programs over time. There aren’t the huge peaks and valleys that are common with seasonal businesses or new product releases. Instead, referral activity spikes sharply soon after a program is launched and then continues on a smooth upward trajectory over time. If you want to drive a consistent flow of new customer revenue to your health and fitness business, investing in referral marketing is one of the best things you can do — and that’s not a subjective opinion. As our data shows, referral marketing is a natural fit in an industry where your biggest fans, customers, partners, and influencers are already talking about your brand (or your competitors). No matter the industry, there is one major takeaway: Successful referral programs generate a natural network effect. As you acquire more referred customers, an abnormally high proportion of them will convert into new ambassadors. Those ambassadors will then draw in new customers, and the cycle will start all over again. Bottomline: Conversations are going to happen whether you’re involved or not, and our analysis shows that companies can achieve greater sales growth consistency by proactively empowering those conversations.